All the Samyang/Rokinon/Bower cine lenses are missing from the official Adobe library but they are the same formula as the still lenses so that would be an easy place to start. Setting up the test chart and doing a real lens profile takes some effort but that is probably the best thing to do to insure that it is working for the image area that you are actually using. Things "seem" to be working now for the Zeiss ZF.2 lenses but those also have the most complicated profiles when compared to some other prime lenses. In any case, it seems we have a good starting place. There is more that can be done with the script, especially the part about getting xmp sidecar files working but the modifications dmilligan did on the code seems like it is ready for some serious lua scripting. I'm an absolute beginner in lua scripting. I use some manual lens for astrophotography timelapse and I'll love the possibilities to set manually the exif data to avoid to do it in post. I'm trying to use lua.mo module. All default scripts work without problems. Then I try to load into my 700D ML card the "lens" lua scripting (adding also ui, config, xmp into library directory) but it doesn't work properly. Do you know if this script work in EOS 700D? Great to hear you're interested in this. I've just been working on adding some lenses and am having productive conversations with a staff member at Adobe to get more lens profiles for manual lenses working with this. When you set the lens you won't "see" anything until you work with the MLV files. Right now that's the only format that this works with. Still will require some more work to get the xmp "sidecar" files working and DNG needs some back end modifications. It should work on all platforms including the 700D. I've got one of those and just tested it to make sure. I can see that you are able to compile--great! If you need any help, have a feature request or want a special build, just post it here. I compiled both branches you suggest and try both them. I add Samyang 14mm and an old Sigma 28mm to the list just begin to try. They both work for MLV (silent) and CR2 still pictures (with xmp sidecar file). I will wait for DNG files with correct exif data. ui.lua: I found 2 little error at row 25 ("utton" instead of "button") and row 50 ("b" instead of "self"). Otherwise the lua editor doesn't work. You got xmp working? How? I haven't even ventured there yet. Please feel free to make pull requests for any fixes you're making. Let me know if I can help with that. I take hundreds of shots using manual lens with time exposure > 10 s up to 60s for nightly timelapse and load them to LRTimelapse or other software. 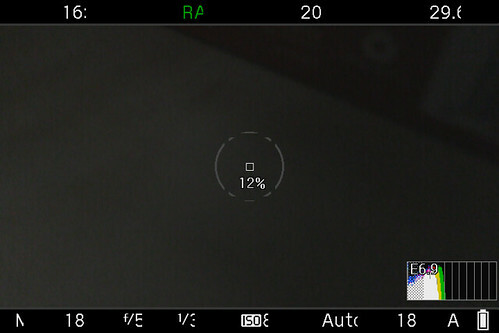 Unfortunately "dng" silent pictures do not save aperture or time or ISO into exif data. I try to use MLV format (but it is risky) when I deflate into dng files I could find the right lens desciption string and using ExifToolGui I can batch change into all dng files. xmp with CR2 isn't working yet, or at least it isn't in the current lens lua script. I'm not sure how to script it yet. If you're using the script it should save the metadata into the MLV file and all the DNG files should have the EXIF tags. How are you "deflating" the DNG's? Since you're using the 700D I'd recommend MLVFS. That should take care of any focus pixels from that camera. Are you are using full resolution silent picture? (Search for FRSP) I haven't tried that yet with this script. I tried with Bridge and LRTimelapse. The xmp sidecar generated from script is correctly loaded. All lens data are present and if I change manually the data, into the xmp, Bridge load the new data without problem. I tried MLV with MLVFS and it's ok. I still don't follow you @IBIRRU -- care to share screenshots of some sort? 1) CR2: works OK with XMP sidecar generated by script. That means I can record the exposure exif data of manual lens and when load the pictures on Adobe Bridge or ACR I have all exposure data, time, aperture and ISO. a) Mlv format works OK with Mlvfs. That means: the exif data embedded into dng single shots are correctly passed from script to mlv to dng. b) DNG format: the single DNG picture doesn't have the right exif data. I don't use the exif data for geometric correction. I try for Samyang 14 mm a lcp profile created for EOS 650. Edit it for EOS 700. ACR is able to use it but I don't know if is right. Haven't really tried it, there might be some weirdness with the menus now that there's a bunch of lens info in that menu. And yes, XMP should be working. Nice find @IBIRRU and Thanks for the quick fix @dmilligan! I'm getting these compile errors on several modules that seemed to have been introduced with the lens_info_fix merge. Non-ASCII characters in commit message. >>> msg = "Merge ‘lens_info_fix’ into ‘manual_lens_info’"
Yeah I couldn't figure this one out either. I had ended up going back and making a new branch and cherry picking everything on to it. Not sure how the non-ASCII single quotes got in there. Must have been SourceTree. I'm in favor of the no dependency option. So how do you edit a commit message? I assume it has to be done by a developer who can access the hudson repository. Last time I submitted a pull request that backed out a changeset it caused all sorts of issues on my repository so I'll just go sit in a corner and wait. Ok, had enough sitting in a corner and decided to work around the commit issue. It wasn't as straightforward as I had hoped but it worked. Now the problem is that the lua_fix branch doesn't draw the information on the EOSM screen properly so of course neither does the manual_lens_info branch after the merge. Note that I have only experienced this on the EOSM. It looks fine on the 700D. - a startup log from dm-spy-experiments branch, with mpu_send/mpu_recv stubs (0x1dd2c, 0x36A0); background info here and here. Thanks a1ex, I'm working on getting what you asked for. I made a regression test and found that commit 56464bc is where the issue first appeared. Just in case: did you recompile everything with make clean? Yes, I'm running make clean on every compile run. Now I'm stuck trying to figure out how to get a startup log with the dm-spy-experiments branch. [EDIT] Dumb mistake -- logging is working. I saw the Serial flash dumper pull request. It has a note with my name on it and thought, uh oh -- what did I get myself into? I'm doing my best to get this together. Note, I've never used QEMU though that's on my to learn list. Just CONFIG_DEBUG_INTERCEPT_STARTUP = y should be enough for 700D. The log file is created at startup, a few seconds after starting the camera. These stubs are in dm-spy-extra.c (easy to find with grep, or with a text editor that can search in all files from a directory). Got it. Startup logs are in the dropbox folder. Next challenge, serial flash dump. Ok serial flash dumps are uploaded to the dropbox folder. @a1ex -- You should have everything you asked for now. I'm also doing a pull request for the dm-spy-experiments branch to add the mpu_send/mpu_recv stubs for the EOSM.